Allows access to dry bag during the swim for essential products. This style of dry bag offers swimmers the rare opportunity to access products whilst in the open water. 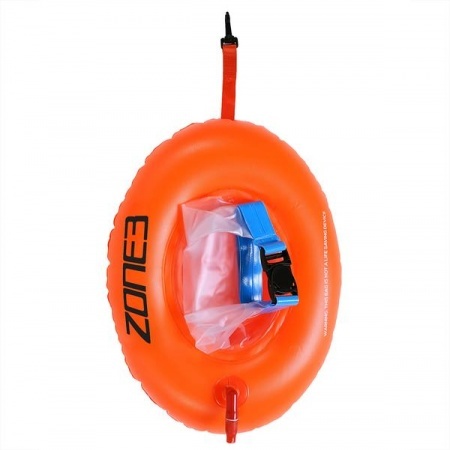 The donut shaped buoy features a double lined central dry bag which means you can assess a drink, nutrition, spare goggles, Go Pro etc whilst on the move. Although it doesn't offer as much space as Zone3's 28L bag option, it is extremely versatile. 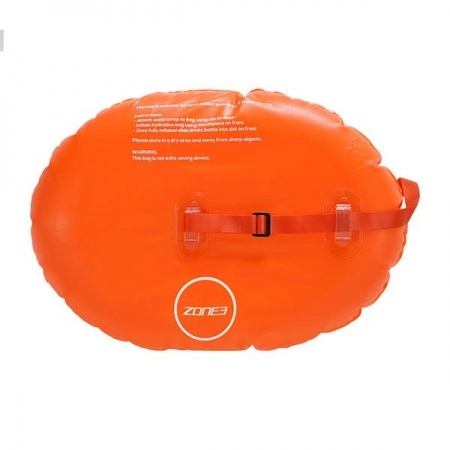 The brightly coloured inflatable dry bag is ideal for storing your important kit whilst you swim and for use as an inflatable buoy, for increased visibility in open water. The adjustable dual belt design attaches securely around the swimmer's waist and the leash ensures that the product remains out of stroke-range whilst swimming. 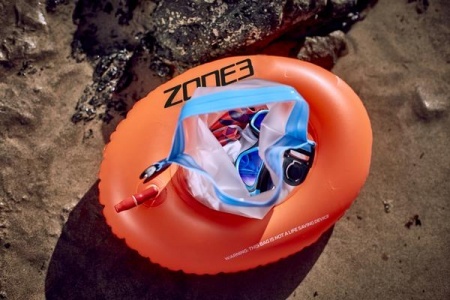 The bag is highly recommended for all open water swimmers who may need to carry their valuables when going for a swim, or anyone who wants extra visibility when swimming in the open water. When the buoy is lying flat it measures 45cm x 34cm.